Many people are frustrated by the fact that the Obama distraction campaign is “working,’ in that the Democratic media are cooperating. But I don’t think that means much. 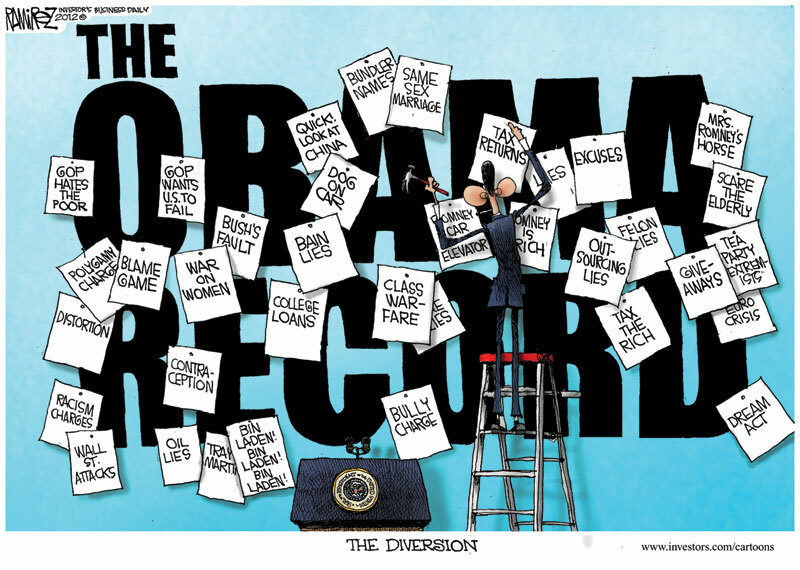 In my opinion, a president who can’t talk about his record because it is so terrible, can’t be re-elected.